Home » Student Advice » DO YOU OWN A BIKE OR LOVE CYCLING IN BOURNEMOUTH? DO YOU OWN A BIKE OR LOVE CYCLING IN BOURNEMOUTH? If you think cycling is the best way to get around or to enjoy your free time, you’ll be delighted to hear about this post. Summer is coming guys! Why not enjoy the good weather riding your bike or walking around Bournemouth, just for fun or to get fit? 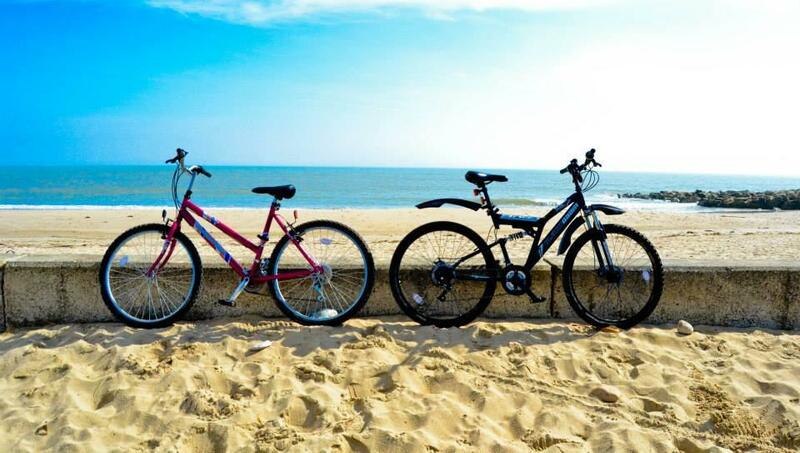 There are so many options to ride your bike in Bournemouth´s surroundings attractions. Knowledge of local cycling routes is an advantage, but don´t worry, I´ll try to give you some advice about the bike paths, which you can go through. It´s said that one of the most popular options is the Seafront, which is the best one if you are keen on seeing beautiful landscapes. From Bournemouth´s Pier, you can explore the beach in both directions. Following the west way, it will take you along the beach promenade to SandBanks, where you will see chain ferry to the Purbecks. 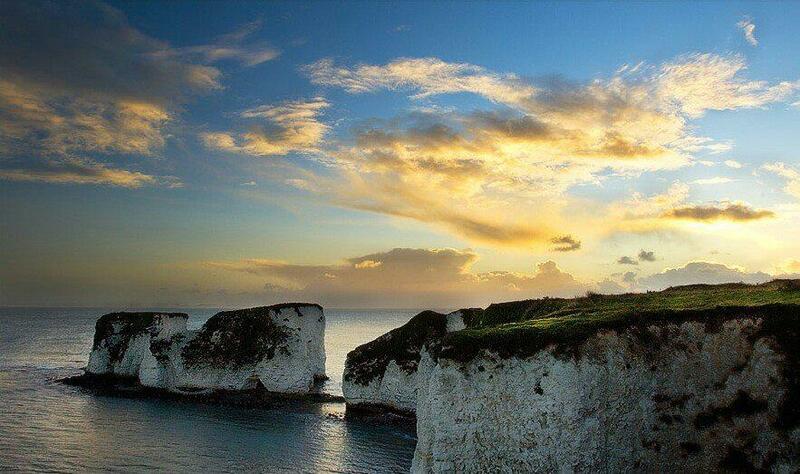 In addition, you can visit a great village called Studland, and Old Harry Rocks, which belongs to the Jurassic Coast of Dorset, and it´s one of the most attractive sights to visit in Dorset´s Area. This route will take you 1hour 20 minutes approx. and it´s 8,9 miles. 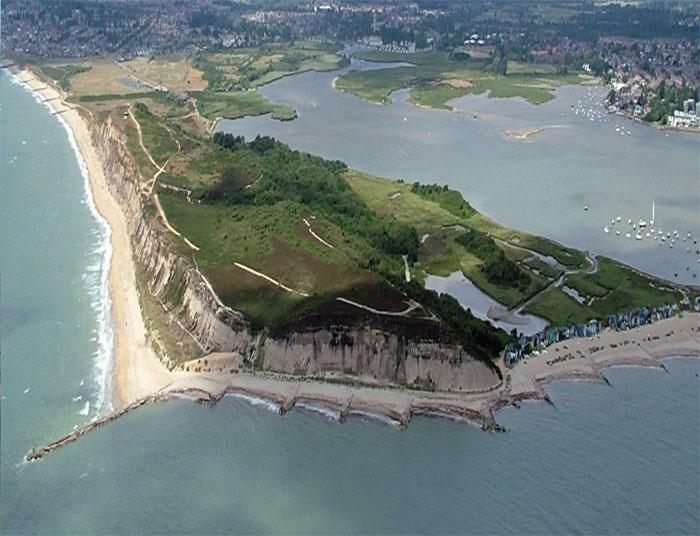 On the other hand, following the east way, it takes you along the beach promenade to Hengistbury Head, which is a Local Natural Reserve, which has a diversity of wildlife and geology and is protected as a Site of Special Scientific Interest. This route takes you 30 minutes and it´s 5,6 miles. Furthermore, at the end of the Hengistbury Head, you can find several colorful beach huts, which are mostly used by the owners in summer time, so as to rest or enjoy with the family. If the journey makes you feel thirsty, there is a Cafe called the Beach House, where you can take a break and have a soft drink while you enjoy the landscape. I would like to remind everyone that cycling is not allowed on the seafront from July to August, from 10 am to 6 pm. So, be aware of that, if you don´t want to get a penalty. Apart from the seafront routes, The New Forest is a fabulous place for cyclists. The cycling routes, which belong to The New Forest will take you across the forest, where you will see many animals such as New Forest ponies, pigs and deer and abundance of wildlife. So, If you are keen on countryside, wildlife and fresh air, The New Forest is a perfect place for bike riding! The cycle routes can be as short or as long as you would like. Anything from 3-21 mile routes throughout The New Forest. They will guide you between villages, where you can find traditional British pubs. The villages that are along the cycle routes are full of character, for instance, Beaulieu is an historic village famous for its National Motor Museum, which houses one of the best collections of cars and other vehicles in the world. Lastly, I hope this post will help you to choose a cycling route around Bournemouth and I hope you enjoy it! Let´s go!!!!!! By worldchoiceeducation in Student Advice, The UK, Uncategorized, World Choice Education on June 19, 2014 .